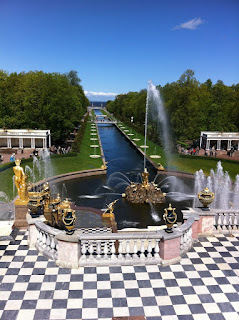 The Peterhof Palace, on the Gulf of Finland, is about a forty minute hydrofoil ride from St. Petersburg. 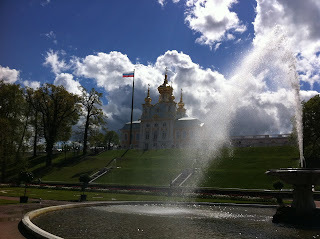 It is far and away the most impressive such "palace" I have ever seen. They didn't call him "Peter the Great" for nothing. Highly recommended when you are next in St. Petersburg. Which I hope, someday, you are. The City, too, is highly recommended.